If you are a seasoned handyman or do-it-yourselfer, you might feel like there are no home projects that you cannot handle. This might even include replacing the siding on your home. However, when it comes to siding, we can think of several reasons why you should work with siding contractors in Austin, whether you are a veteran home remodeler or are just getting started. Here are 5 reasons to work with professional siding contractors to replace or repair your vinyl siding. From preparation to demolition and cleanup, a professional contractor will ensure that no important step in the process of taking down the old siding and putting new beautiful siding up is missed. You might have many nails that land in your lawn during the demolition of your old siding. Rather than relying on your own devices to get these out of your grass, working with a contractor who does all their own cleanup will protect you and your family from potential safety hazards and keep your property looking as great as it did before they started. Most people just do not have the time to take off work or school to replace the siding on their home. One of the benefits of hiring a contractor to do this important work for you is because they can get it done while you are gone or while you go out and run errands. There is no reason to take time off from your own busy life to hire a contractor to do something. 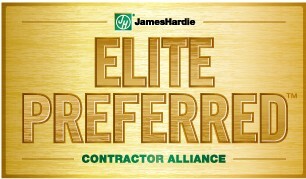 You can save time and a lot of money by working with a professional. Another benefit to working with a siding contractor rather than doing it yourself is because your contractor stands behind their work. If you do the work on your own and you have problems with the siding after it is done or it is damaged because it was installed wrong, your options include starting all over again or hiring a contractor to fix the work. Either way, you are paying twice for the work to be done. When you hire a contractor who provides a warranty for the work, you can pay once and then in the rare event that there are problems afterwards, you do not have to pay again for the work to be done properly. 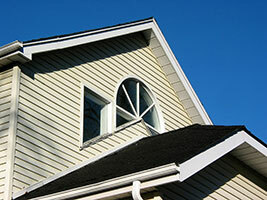 You might need to obtain permits from your city in order to do any siding work on your home. This can be a long process for homeowners who are not sure what they need to provide and the deadlines in which to do it. Working with a professional contractor will ensure that all code requirements are met and that any necessary permits are acquired before starting work on the project. Hiring professional siding contractors is going to save you a significant amount of money and time in tools and equipment alone. Forget having to go to the store 10 times to make sure that you finally get the right part or product you need to get the job done. A siding contractor who has come out and seen the home and knows what needs to be done will bring all the right tools and equipment with them.